Rina’s Restaurant is one of the best restaurants in Accra located in the heart of trendy Osu in the Oxford Street Mall, they offer amazing views overlooking Oxford Street and beyond. It is a casual dining restaurant. Offering Breakfast, Lunch, Dinner and Drinks with several other menu choices. The side dishes and main courses are all authentic recipes and cooked in a traditional way with fresh local ingredients. Serving the freshest African and continental fare, enjoy daily buffets and tasty entrees. All at a price that can’t be beat! 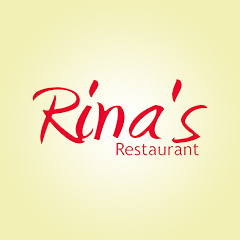 Rina’s Restaurant offers an exquisite waiter service, airy outdoor seating and a car park for its cherished customers. The also offer a kids Menu and a take-out service that is nicely and attractively packaged. When it comes to food preparation it is done with the utmost care under the most hygienic conditions. The environment is breathtaking and the people are warm. It is one of the few restaurants in Accra whose food prices are very affordable and the portions are extremely satisfying. All at a price that can’t be beaten! Rina’s welcomes all its cherished guests with all the comforts and personal attention that will amaze you. From the immediate warm reception to the impressive interior to the impeccably dressed and attentive staff, Rina’s Restaurant focuses on the details that will make your stay memorable one. Moreover, being on Pizarea allows customers with busy schedules who love Rina’s Restaurant to order their food online and have it delivered to them. The food delivery is fast, safe, convenient and reliable. Whether at home or in the office, your delicious meal can always be delivered to you. Online ordering of food from Rina’s and delivery in Accra is now very easy to do. Your experience with this restaurant will always be great and unforgettable. Whether to grab a drink, wine and dine with friends and family and people watch, or meet new and friendly people, always remember that, Rina’s will be at your service!